they're to use credit responsibly. It acts as proof to lenders of how well someone has managed their finances. So, maintaining a good is necessary. This score, a numerical expression, is based on one's "credit report" prepared/maintained by credit bureaus; individuals must check their credit reports regularly to identify and correct their mistakes. It is crucial for getting approvals for loans, credit cards, or other credit requests. While credit cards can boost credit score, maintaining too many cards could be a hassle that can affect credit score. Also, defaulting on credit card payments and high usage of credit card limit (indicates the individual's credit hungry behavior) is bad. One should avoid using credit cards to withdraw cash as they are considered "cash advances" that hamper credit score in the longer run. Paying all bills, including credit card bills, on time is essential for a good credit score. After a person takes a loan/credit card, the bank/lender periodically reports the individual's credit activities to credit information companies or bureaus that collect information and maintain "credit reports". So, the unpaid bills or dues could end up on one's credit report and will affect the individual's credit score. It is important to be cautious while taking new loans. Individuals must borrow only when it is absolutely needed and borrowing more than what they need is bad. They should also limit their applications for new credit. 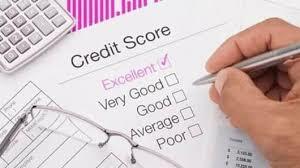 Making too many credit inquiries, for loans or credit cards, could impact one's credit score negatively, especially if applications are rejected; rejections are bad for credit score.